As has been lamented before on these pages, there are very few companies selling a light, compact sports coupe any more. Of course there’s the Scionbaru FR-Z, and with some liberal interpretation you might also look at the BMW 1-series and some hot hatches like the Abarth 500, but aside from that, this genre is courting extinction. Back in the 1970s and 1980s, most manufacturers – Toyota, Datsun, Fiat, VW, Opel, Mitsubishi and more, all had entries in this slot. One of the rarer and more luxurious competitors in the category was Lancia, with its Beta range. 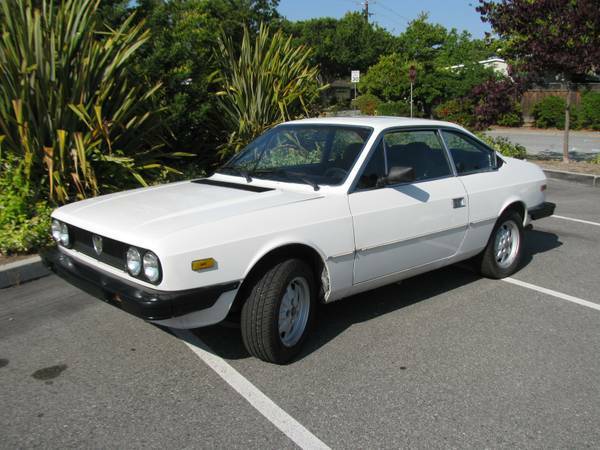 You can find this 1981 Lancia Beta 2000 Coupe for sale in Los Gatos, CA for $2800. And really, what a smart-looking little car. It should have given the BMW 3-series a real run for its money, particularly in this fuel-injected guise. With slightly more power, but also more weight than the contemporary 320i, it should hold its own, and with a 5-speed transmission and 4-wheel independent suspension and disc brakes all around, it’s equally well (if not better) equipped. 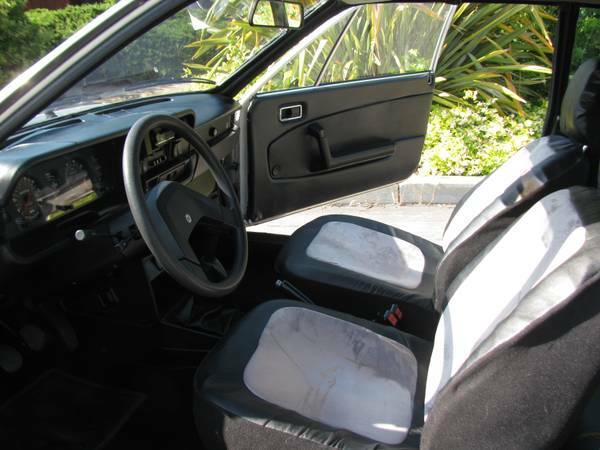 In fact, the interior is arguably Italian-luxurious to BMW’s vinyl-and-plastic German minimalism, and you have that fantastic revvy twincam four instead of a rather unexciting, if effective, SOHC four. And here’s that interior, with comfortable, thick chairs (there’s likely split leather underneath – don’t be afraid to pull up the covers!). The seats were not only luxurious, but also a design statement, with short, squat back rests and weird round headrests that look like a crash test dummy’s head. The back also benefited from bucket seats, and this particular car appears to have electric windows. It’s also got the later, upgraded and more modern dash design, and unlike BMW has no funky center console to include air conditioning and a vertically mounted radio. 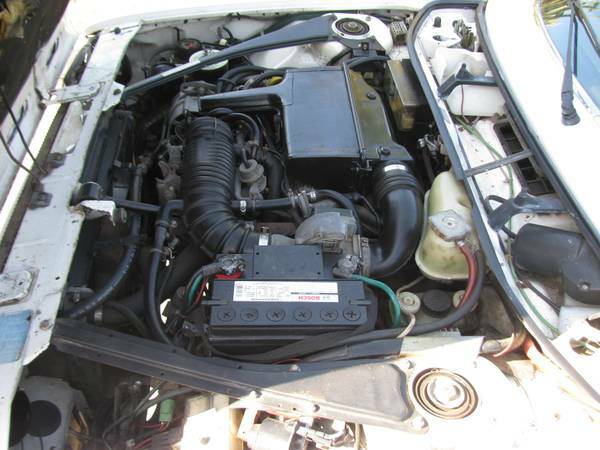 And here is the engine compartment, which will be the source of most of your Beta woes. 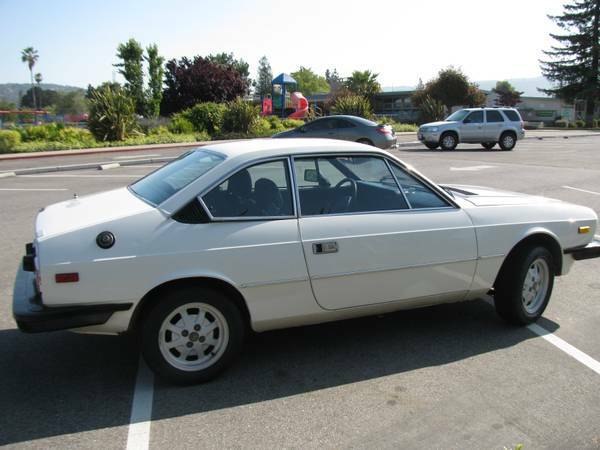 These cars are great fun to drive, with a very modern platform, but Lancia squeezed a lot in under the hood, and took what little room was left to accommodate American demands for smog equipment, air conditioning, and power steering. With any luck, service demands should be fewer on a fuel-injected car, so you can spend more miles enjoying the son of the Fulvia. This entry was posted on November 5, 2013 at 4:50 pm and is filed under Feature. You can follow any responses to this entry through the RSS 2.0 feed. You can leave a response, or trackback from your own site.